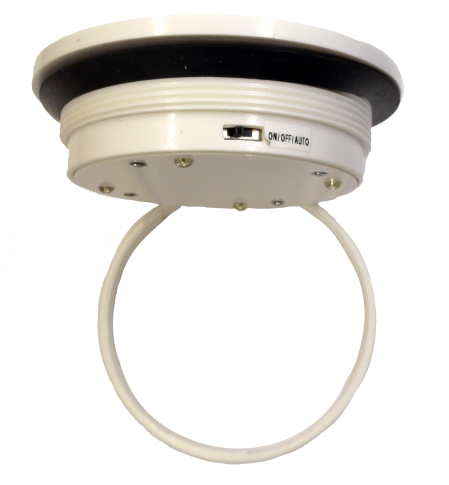 The Sun-In-One™ Solar LED dome light is a small scale all-in-one solar lighting system that is great for outdoor lighting such as remote buildings, sheds and porta-potties, docks, gardens or driveways. The high efficiency solar panel is housed in a tough weatherproof enclosure that charges four high capacity rechargeable Ni-Mh batteries. -The auto function automatically turns the light ON at night and turns it OFF during the day.